Riverview High School wrestled in the regional duals this past week. The Sharks defeated Palm Harbor convincingly 55-18 in the quarterfinals. After that, Riverview wrestled in the semifinals and took a 43-21 victory over Manatee High School. “Our inexperienced wrestlers came up with really big wins and our freshman Nico (Hernandez) had two really big wins,” Head Coach Ryan Hall said. This win puts Riverview against Osceola for the regional finals on Jan. 25. The Riverview wresting team competed in the Tiger Duals in mid-January, taking second place. Riverview beat Bayshore 84-0, Palmetto 61-18, Braden River 58-9, and Lemon Bay 42-25, but lost to Jesuit 69-3. Some honorable mentions the coach sent out to wrestlers included: Gunnar Malouff who went 5-0, Lane Keck, Josh Guerra, Tyler Forrest, Chris Felix, Nico Hernandez, and Centrell Sommers, who all went 4-1. According to Hall, this shows an excellent performance by our athletes. 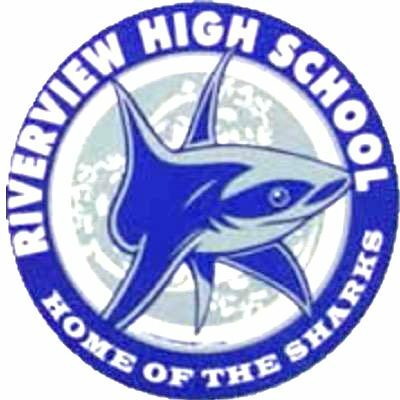 Wrestling schedule (subject to change) is: Dual at Newsome Jan. 22; State dual meet at Osceola Jan. 25 and 26; Live Greco Invitational at Steinbrenner Feb. 2; Dual at Strawberry Crest Feb. 6; Dual at Riverview against Robinson (Senior Night) Feb. 7; Riverview 6-way tournament at RHS Feb. 9; Hillsborough County Championships at Wharton Feb 15 and 16; District championships at Riverview Feb. 22; Regionals at Osceola March 1 and 2; State at Silver Spurs Arena, Kissimmee March 8 and 9.